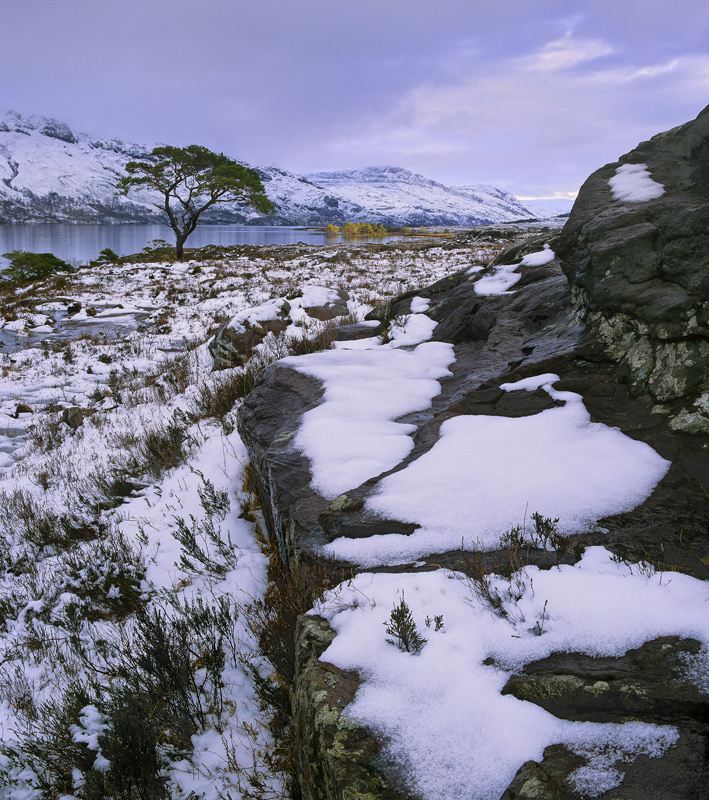 I have always loved this little umbrella shaped Scots Pine that so accurately mimics the shape of Slioch presently concealed by cloud but this is the first time I have used this viewpoint which works, (at least for me), because of the presence of the snow on the rocky ledge, which on other occasions would simply be a heavy dark and dominant foreground element of dubious benefit. I waited ages for a splash of light to fall on a distant Scots pine grove and was eventually rewarded. This is the only one of several occurrences where nothing else was directly lit, thus instantly grabbing attention and hence a focal point with the injection of strongly opposing hue.